My name is Rene, and I do Public Relations for Mission Possible. Mission Possible is a non-profit organization based out of Findlay, Ohio with seven schools and churches in Haiti, and one school and church in the Dominican Republic. There are over 2,000 students in our schools and over 200 adults employed, with the mission of “equipping the next generation of Christ-centered leaders” at the center of who we are and what we do. The biggest difference between Mission Possible and many other overseas non-profits is that we are a hand-up, not hand-out, organization. This means that we expect the people in our schools, from the students all the way up to the top leaders, to invest in their own futures. Years ago, we did not have this mindset. We saw needs and our initial reaction was to give, give, give. Eventually we realized that this created an attitude of dependency from those on the field. Instead of learning skills for themselves, they waited for the next group of North Americans to come give them things. Not only was that damaging to the dignity of the people, but it was damaging to the economy in that country as well. Over the last 10+ years, we have moved to the hand-up, not hand-out, philosophy. This is especially important in Haiti. When we do projects at our schools, Mission Center, etc, we bring Haitians alongside us to work, teaching them the skills along the way. Now, even when there isn’t an American team there, they can continue to work and fix things as needed. They have the problem-solving skills and knowledge to feel equipped to work towards improving their schools, churches and communities. Our students are also expected to invest in their own futures, which means they must pay a small fee to attend our schools as well as follow the rules that are put in place by our leaders. When they attend our schools, they are provided with a Christ-centered education, a hot meal each day, clean water, discipleship, leadership training and access to our school nurse. My first trip to Haiti was in 2012. In the five years since then, I have seen so much growth in our ministry. I truly believe that we are raising up the next generation of Christ-centered leaders in that country. I have witnessed the oppression as a result of the practiced voodoo religion in that culture, as well as the redemption and freedom that comes with knowing Christ as your Savior. 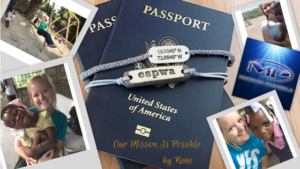 There are many ways to be involved with what Mission Possible is doing: volunteering within our office, participating in different fundraising events throughout the year, being a prayer warrior, giving financially, and even serving in Haiti and/or the Dominican Republic. If I’ve learned one thing over the last five years, it’s that God doesn’t call us to be comfortable. He calls us to stretch ourselves beyond our own abilities and rely on Him to give us what we need to live out the Great Commission.